The Mary Kay® Cream Colour Brush blends cream formulas into the areas of your face that are trickiest to reach. Applies in a natural, fingertip-like finish. Works with Cream Eye Colour, Undereye Corrector and Mary Kay® Perfecting Concealer™. Flat side and precise tip can be used for dual purposes. Rounded, densely packed bristles are designed to mimic fingertip application for a streak-free finish. 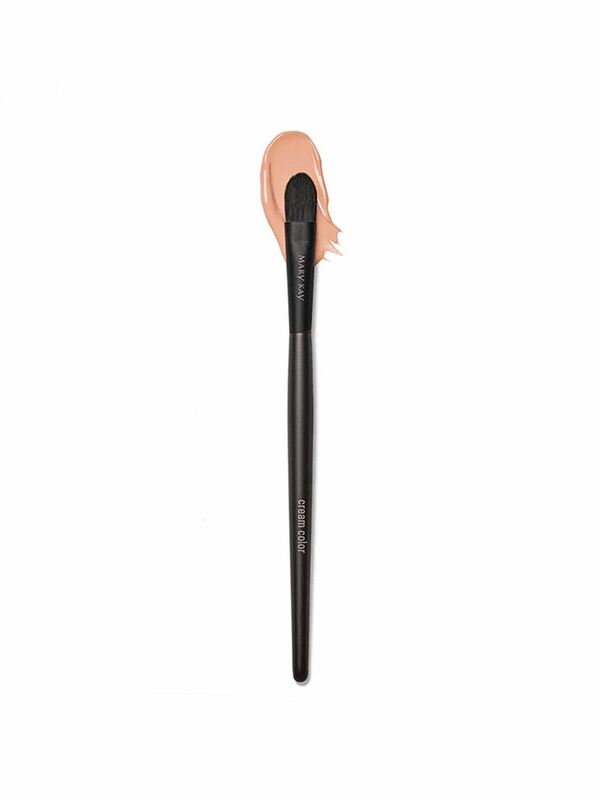 The softly tapered shape helps precisely apply the undereye corrector or the perfecting concealer without pulling or tugging at delicate skin. With Mary Kay® Cream Eye Color: Dip brush into color, and sweep lightly across eyelid. With Mary Kay® Undereye Corrector: Apply product to desired area and blend using the tip of the brush with a light tapping motion, or use a gentle sweeping motion with the flat side of the brush. With Mary Kay® Perfecting Concealer: Apply product to desired area and use the tip of the brush to help cover small imperfections. The flat side of the brush can be used to help cover larger areas. 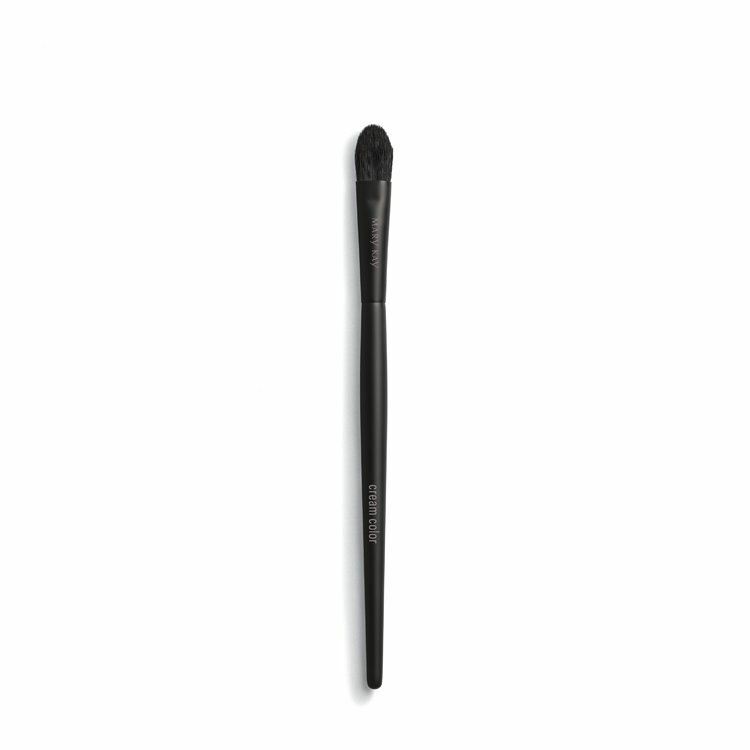 This brush also can be used to blend lip color smoothly onto lips. For hygienic reasons, it is recommended to dedicate a separate brush for use with each product.